"While walking through a toy store, the day before today, I overheard a crayon box with many things to say..." Once upon a time, Shane DeRolf wrote a poem. It was a deceptively simple poem, a charming little piece that celebrates the creation of harmony through diversity. The folks at the Ad Council heard it--and liked it so much that they made it the theme for their 1997 National Anti-Discrimination Campaign for Children. 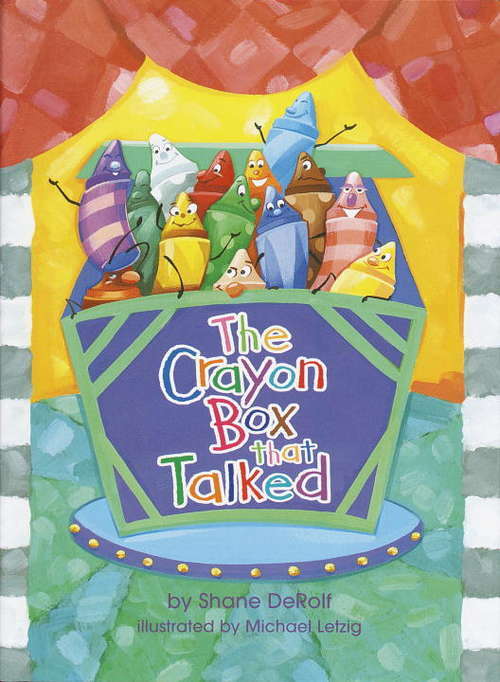 Following on the heels of nearly a year's worth of televised public service announcements, Random House is phonored to publish the picture book, illustrated in every color in the crayon box by dazzling newcomer Michael Letzig and conveying the sublimely simple message that when we all work together, the results are much more interesting and colorful. From the Trade Paperback edition.